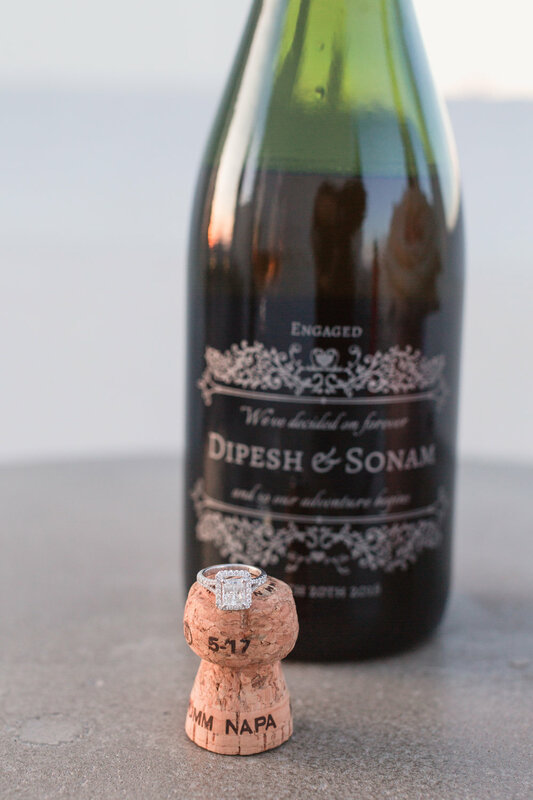 Dipesh wanted to go all out when he popped the question to his girlfriend Sonam a la The Bachelor style. 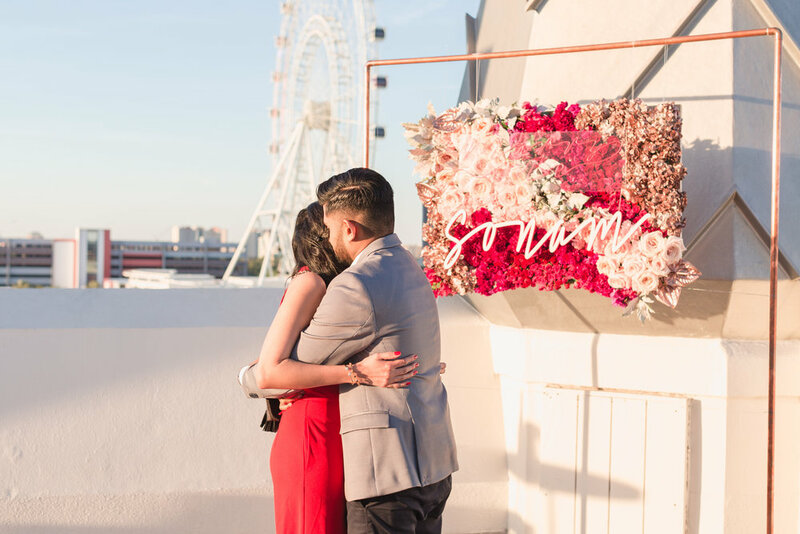 For the location, he chose the Sky Terrace of the Castle Hotel in Orlando, Florida, where there is a perfect view of the iconic Orlando Eye - this is where Dipesh took Sonam on their very first date! 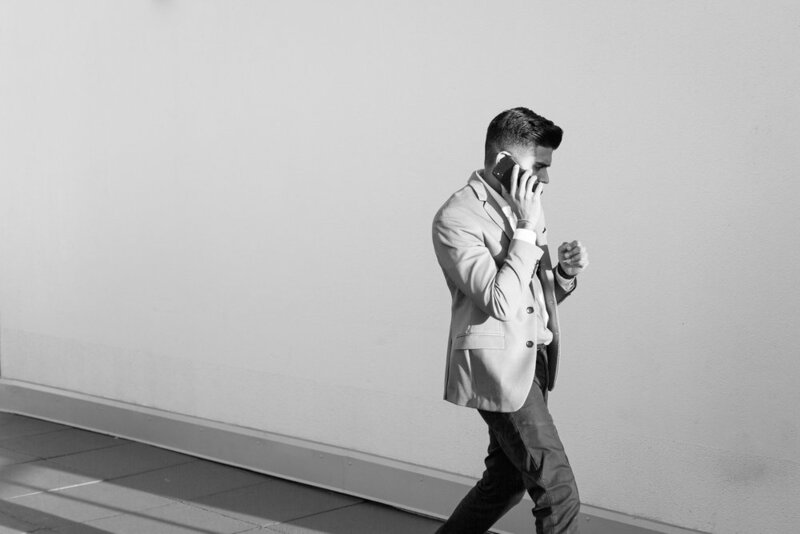 Elle of Captured by Elle Photo captured all the details so beautifully! Even the Hotel was in on the plan. 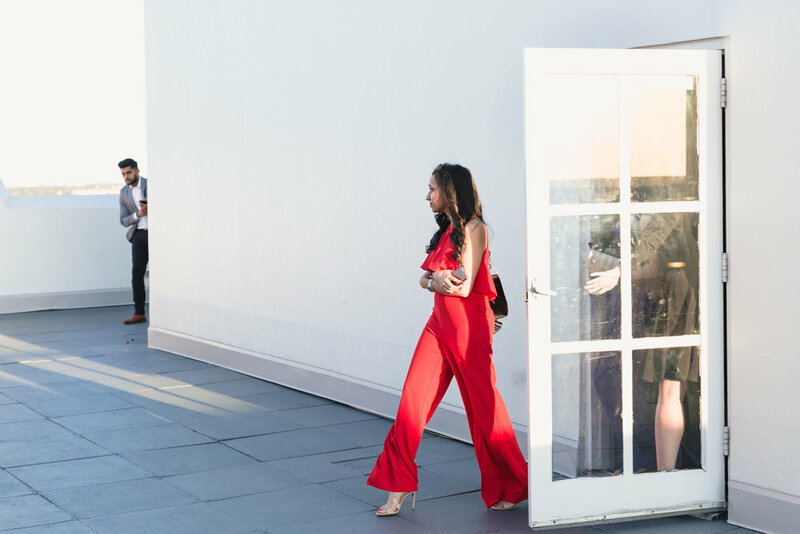 They helped stage a fake event up on the same rooftop terrace. They created signs for the fake event to direct Sonam on where to go. While she thought she was attending a Nursing School event, she was really about to be asked that life-changing question! We created a show-stopping piece made of fresh florals arranged in a fun gradient pattern, paired with custom signage. We crafted a "marry me" neon sign which sat atop a hand-painted laser-cut sign with her name on it. 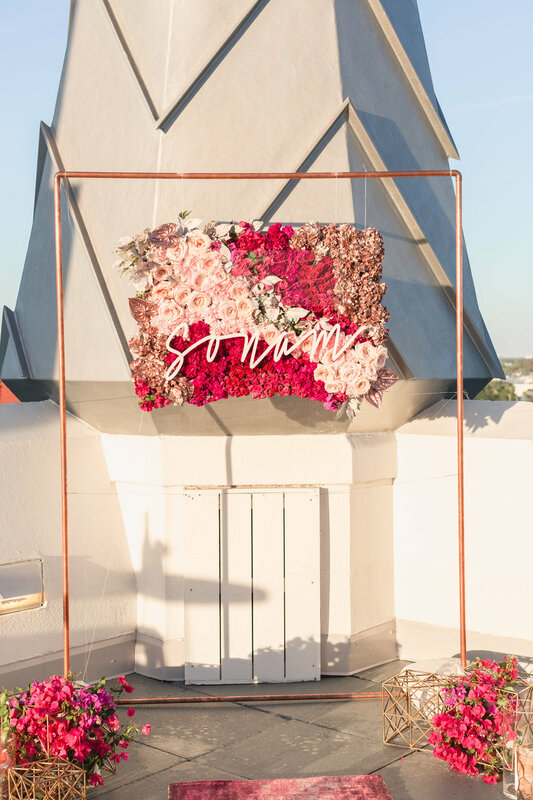 The signage was suspended from our minimal copper arbor, against the backdrop of flowers. 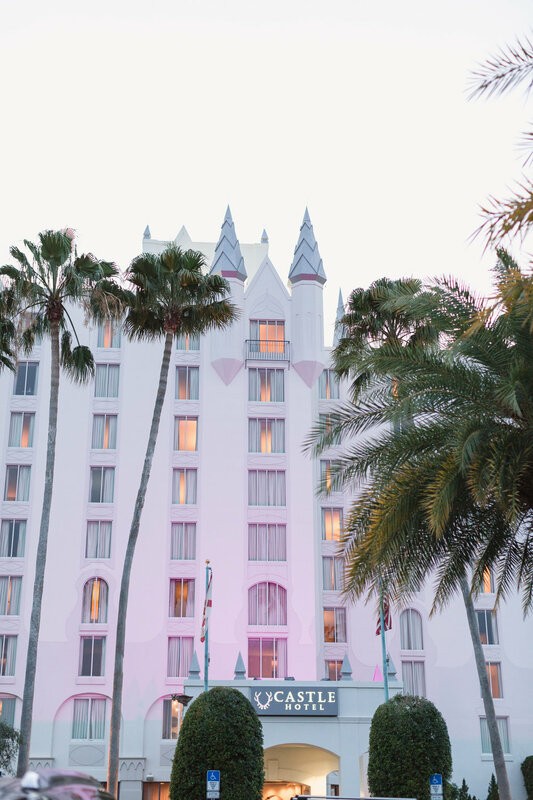 When Sonam walked out to find Dipesh waiting under the arbor, she walked up our fun arrabesque rug runner in shades of pinks and purples, surrounded by candlelight lining the aisle. We also incorporated our gold geo cubes with bougainvillea in a similar color palette. Off to the side, we set up one of our concrete top triangle-base high top tables, paired with industrial copper stools that coordinated perfectly with the arbor. 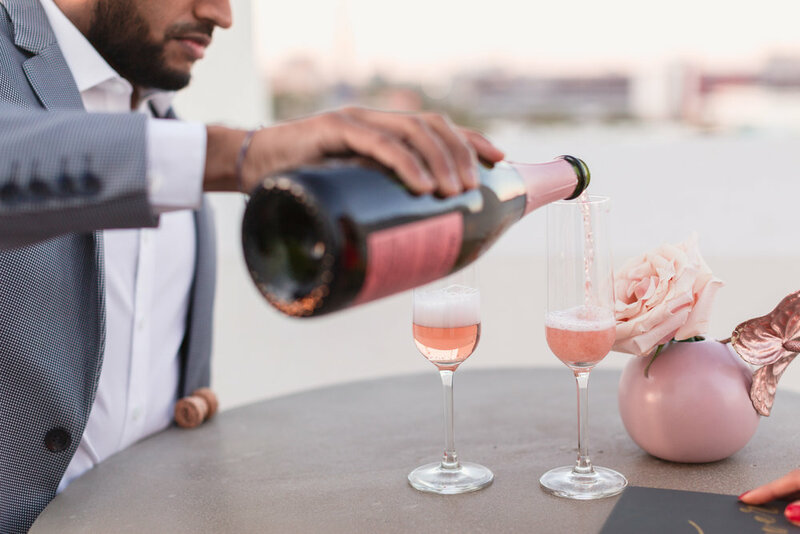 Atop the table sat a small floral arrangement in one of our pink ceramic bud vases, a bottle of rosé with a custom label (Dipesh gets extra brownie points for this one! ), and a photo book of the couple. 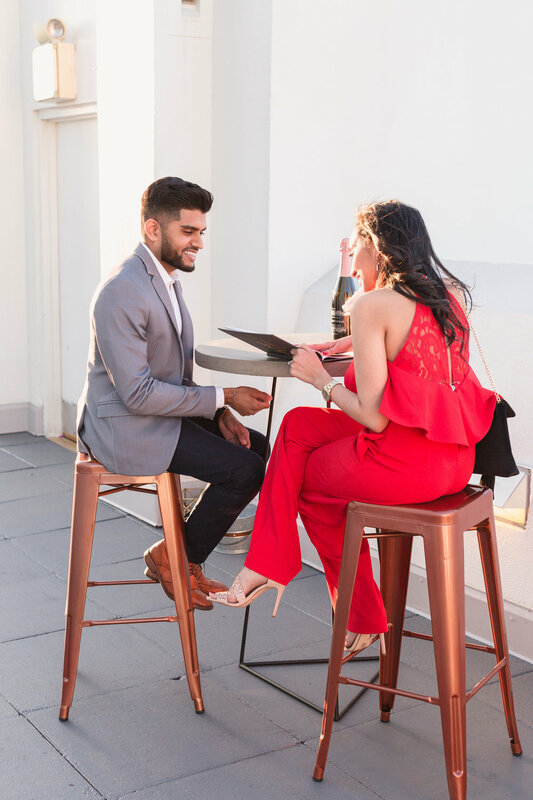 After the proposal, the two were able to linger a bit to celebrate sipping on rosé while viewing the sweet photo book Dipesh made for Sonam. 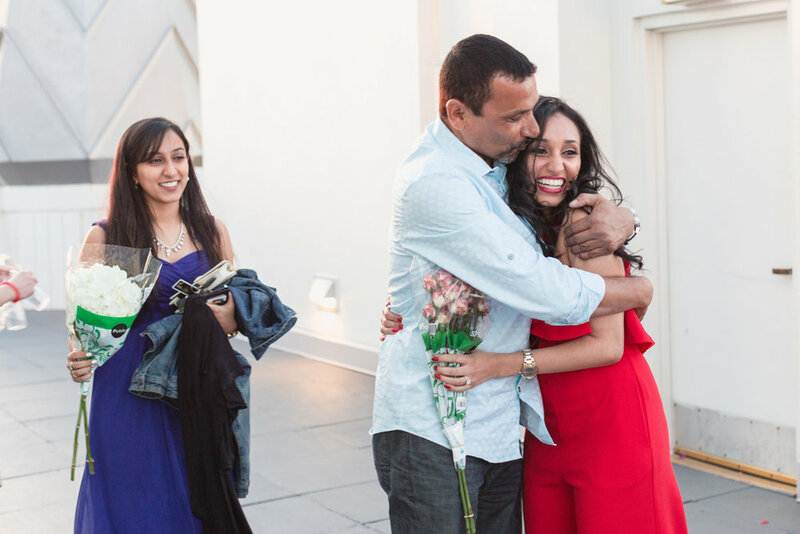 To top it all off, Dipesh had Sonam's family waiting to come up and surprise her to congratulate her! Other items we used for this set up include our simple glass hurricanes, footed glass hurricanes, and amber hex hurricanes.